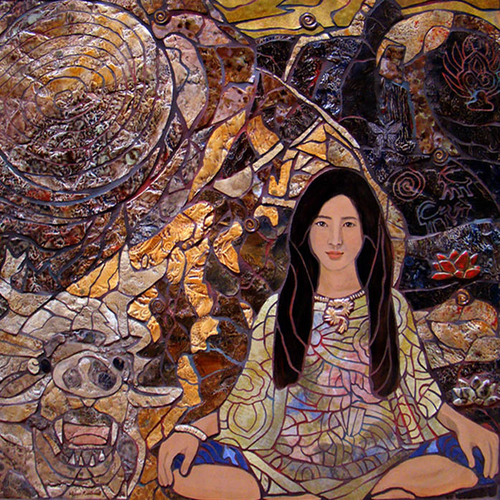 This mosaic was based on Tibetan petroglyphs. I used images of dragons thoughout. The ceramic clay was pressed into actual rocks to obtain the necessary texture.